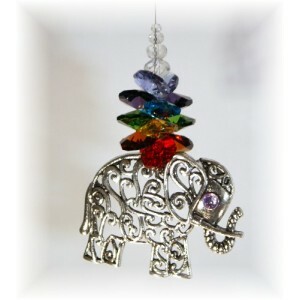 Animal crystal suncatchers made to order in any theme. 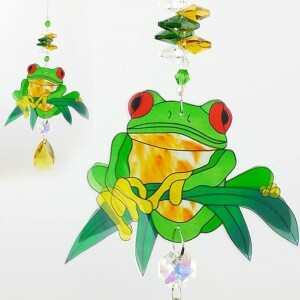 We have have frog, elephant, tiger, dolphin and cat suncatchers and lots more. 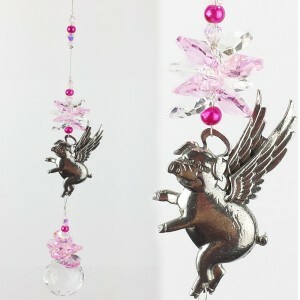 If you cannot find what you are looking for please send a message and I will custom design a sun catcher for you. This item is handmade to order in any colour you like. 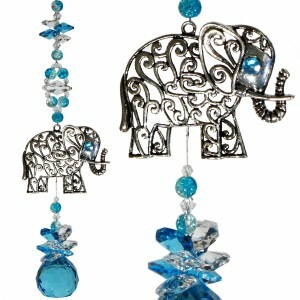 It has a large silver elephant pendant 60mm x..
38mm Teardrop (assorted colours) clear octagons matching beads length 20cm weight 30.. 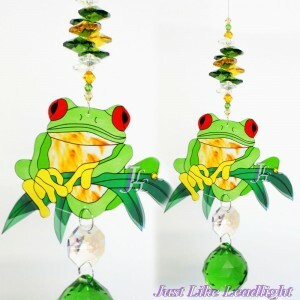 This new frog suncatcher has a 30mm green crystal ball and a combination of 10 octagon crystals in ..
6 Octagons(Assorted Colours) 38mm Teardrop Frog Sheet design Hanging length 20cm Weight 3..
Purple Seahorse suncatcher. 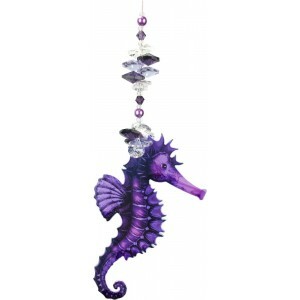 SHSC001 Large metal seahorse with assorted crystals as pictured. Ima.. 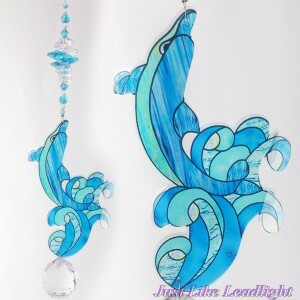 This suncatcher is 100% handmade and an original just like leadlight design. He has a 30mm crystal s.. 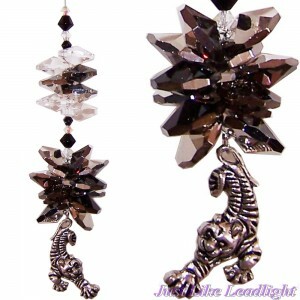 This great suncatcher, has a 35mm silver tiger with a large cluster of 12 TOP GRADE PRECIOSA black m.. 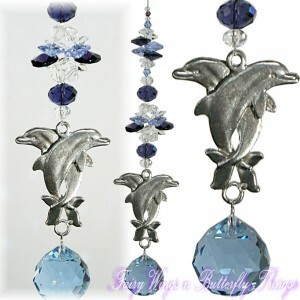 This lovely dolphin suncatcher has a 30mm skyblue(dark blue and clear available) crystal ball and a ..
Approx Length: 16cm Approx Weight: 60g 12x 14mm octagons. 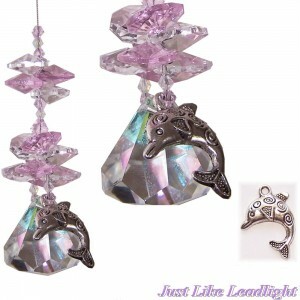 30mm Clear Diamond Crystal ball wit..
Large Pewter Dolphin Crystal suncatcher (copyright 2013 fairywings'n'butterflythings all rights res.. This item is handmade to order. 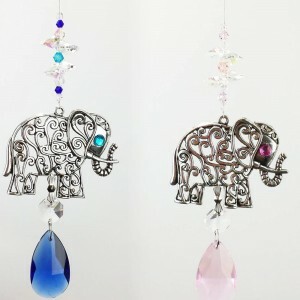 It has a 30mm crystal ball With additional octagon and bead cr..
Small chakra elephant suncatcher This item is handmade to order in the 7 chakra colours. 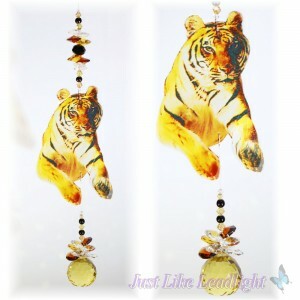 It h..
Approx Length: 16cm Approx Weight: 60g 12x 14mm octagons. 30mm Clear Diamond Crystal ball with pew..